Also, The Wound-Dresser; Short Ride in a Fast Machine. Nathan Gunn, baritone; Marin Alsop, Bournemouth Symphony Orchestra. Naxos 8.559031. It’s not hard to understand why composer John Adams’s (b. 1947) Shaker Loops is one of this modern composer’s most popular works. As conductor Simon Rattle has explained, Adams’s music has “always seemed to be moving forward in space, that I would imagine while listening to it that I was in a light aircraft flying rather fast, close to the ground.” Very true. Adams’s tunes have a wonderful forward momentum, and in Shaker Loops, especially, a strong rhythmic beat. 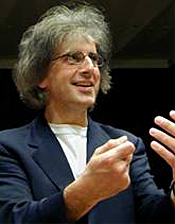 The present album contains four works quite different from another, particularly for a composer best known as a minimalist. The disc begins with a real barnburner, “Short Ride in a Fast Machine.” Two minutes into this thing and I felt as though I were back on Northern California’s coastal Highway 1 in my 350Z. It’s very exhilarating (the music, as well as the Z), Alsop conducting the Bournemouth Symphony with all stops open. Following this high-octane piece are two downers, “The Wound-Dresser” and “Berceuse elegiaque,” both slow and rather gloomy affairs, the former a musical setting for Walt Whitman’s poem of the same name. Can’t say I enjoyed either work too much, but maybe I was in a bad mood before I started. If I wasn’t, these two numbers would have assured it. 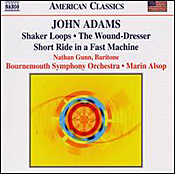 The main piece of music on the disc is the four-movement Shaker Loops from 1978, which has rightly made Adams famous. “The Loops,” writes Adams, “are small melodic fragments whose ‘tails,’ so to speak, are tied to their ‘heads,’ creating loops of repeated melodies....” The “Shaker” part of the title derives from Adams’s attempt to recreate the feeling of a Shaker religious ceremony as they shake in religious ecstasy and divine meditation. The final movement has always reminded me of the film music of Bernard Hermann, something out of Psycho, for instance. The Naxos engineers capture all of the shaking and trembling and pulse of the music, much of it percussive, in one of their very best recordings. They miked the orchestra fairly closely, producing excellent definition and impact. Indeed, listeners with playback systems too bright or too hard may not appreciate the immediacy of the recording, but those with generally well-balanced systems should find the recording eventful, to say the least. Also, Smetana: Selections from Ma Vlast. 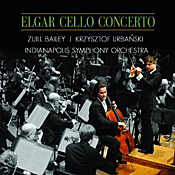 Zuill Bailey, cello; Krzysztof Urbanski, Indianapolis Symphony Orchestra. Telarc TEL-34030-02. Most casual listeners probably know English composer Sir Edward Elgar (1857-1934) for his Pomp and Circumstance March No. 1 more than anything he wrote, but his Cello Concerto comes close. He wrote it toward the end of his career in 1919, and because he published it just after the close of the Great War, a lot of it sounds pretty melancholy and solemn. Nevertheless, it has become one of his most-popular works. Cellist Zuill Bailey, Maestro Krzysztof Urbanski, and the Indianapolis Symphony do a fine job with it, even though the 1965 EMI recording with cellist Jacqueline du Pre, conductor John Barbirolli, and the LSO remains a benchmark in the piece. Elgar once remarked that he preferred vigorous readings of his works because “I am not an austere man.” Zuill apparently takes the composer at his word, producing a robust, responsive, yet earnest and mature interpretation. The first movement of the Concerto offers a pensive, bittersweet reminiscence of a quieter, more placid world before the War. The second movement Scherzo seems to represent the War itself, and the final two movements the War’s aftermath. The opening Adagio has a big, bold part for the cello that starts immediately, although it strikes a rather solemn mood and grave air. Under Bailey this opening is dark-toned, brawny, and deeply affecting. Although the introduction may be long, slow, and heavy, Bailey makes it alive and exhilarating. The cellist never becomes morbid or depressing but projects the flowing, pensive state of a barely suppressed melancholy. Then, in the Scherzo he adds an aura of light with a really zippy pace, cavorting here and there with the orchestra as though a leaf in the wind. Following that, the third-movement Adagio--the soul of the work--seems more than reflective or contemplative; it seems a full-blown lamentation, most touching, if a little jarring in its musical juxtaposition with the preceding Scherzo. Nevertheless, as Elgar and Bailey remind us, war can be more than jarring. In the finale, Elgar is all over the place, marking it “Allegro - Moderato - Allegro, ma non troppo.” Bailey keeps it part grave, part celebratory. The Great War, devastating in its consequences, was over, and there were new opportunities on the horizon, a new world shaping up. Things begin in a big, breezy style, which Bailey handles in big, bold fashion; then it transitions into various guises: lyrical, energetic, enthusiastic, melodramatic, sad, quiet, and, finally, exuberant. One could hardly ask for a more expressive rendering than that which Bailey gives us. The coupling seems a bit odd to me, three selections from Ma Vlast (“My Homeland”), the set of six tone poems by Czech composer Bedrich Smetana (1824-1884). I suppose the lives of the two composers on the disc did overlap somewhat, and certainly both the Cello Concerto and Ma Vlast concern issues of war and peace. Still, it seems a stretch. Besides, why only three selections from Smetana’s poem cycle? Why not four? There was room on the disc. Or, better yet, why not the complete work on a separate disc? Who knows. Maybe the orchestra only played three movements at the concert from which Telarc produced the album. I’m sure we should be grateful for what we have. Whatever, the three Smetana pieces are “Vysehrad” (The High Castle), “Vltava” (The Moldau), and “Sarka.” Having heard so many fine recordings of the entire work over the years from so many fine conductors like Vaclav Neumann (Berlin Classics), Raphael Kubelik (Supraphon), Antal Dorati (Philips or Newton Classics), Paavo Berglund (EMI), Libor Pesek (Virgin), Antoni Wit (Naxos), and others, I couldn’t see as much color in Urbanski’s accounts of the scores. While one cannot seriously fault Urbanski’s performance, there is not a lot in it that sounds significantly better than what we already have. Even the currents of the Moldau seem to be moving too fast and too perfunctorily for us to appreciate them. Telarc recorded the music live in concert at the Hilbert Circle Theater, Indianapolis, Indiana, in 2012. They miked it fairly close up, presumably to minimize audience noise, and in this regard it largely succeeds. There is little commotion from the folks in the seats. The cello is front and center, as we would expect, maybe a tad too much so. The orchestra sometimes appears a bit too far behind them rather than around them. Still, it all sounds quite nice, with a modest degree of depth and air to the orchestra. I suspect it’s just about the kind of sound the composer wanted, in any case. It’s a good, solid sound, with plenty of firm control. Anne-Sophie Mutter, violin and conductor; London Philharmonic Orchestra. DG/JVC 480 674-1. German violinist Anne-Sophie Mutter made her recording debut in 1978 at the age of fifteen playing Mozart’s Violin Concertos Nos. 3 and 5 with the eminent conductor Herbert von Karajan; one of the world’s great orchestras, the Berlin Philharmonic; and the prestigious record label Deutsche Grammophon. Several years later, she recorded Nos. 2 and 4 with Riccardo Muti and the Philharmonia Orchestra for EMI. It was an auspicious beginning to her recording career to say the least, and she has never looked back, now recognized as one of the leading performers in her field. About a quarter of a century later, in 2003, she recorded all five of the Mozart violin concertos again, this time with the London Philharmonic, which she also conducted. The present, 2012 disc presents three of those concertos on a JVC remastered XRCD24/K2 audiophile disc. The disc’s title is actually Mozart: The Violin Concertos (Highlights), but I think the designation “Highlights” is misleading. It makes it appear as if there are only portions of the concertos involved when, rest assured, we get three complete violin concertos. It’s just that originally DG issued the five concertos along with the Sinfonia concertante in a two-disc set, so this single-disc audiophile release contains only three items from that bigger package; thus, the possibly confusing “Highlights” tag. The two big questions, of course, are whether Ms. Mutter’s newer interpretations improve upon her early ones and whether JVC’s remastering is worth the money, both highly subjective judgments. Let’s start with the performances. The newer interpretations have plenty of zip and thrust and a greater rhythmic bounce than the earlier ones. Ms. Mutter entertains slightly quicker tempos than before, perhaps as a nod to the period-practice crowd. Still, these are essentially gentle, cultured, mature, and lyrical readings, never overstepping the bounds of tradition. The older performances seem a modicum more reserved, more classical in tone. Moreover, the slow movements in the newer performances are as heartfelt as ever, so there is really nothing lost, unless it’s the more Romantic, dreamy-eyed sentiment of Muti and Karajan. If anything, Ms. Mutter is today better able to make her violin cry out in joy and passion. Her intonation, phrasing, style, and delivery are, as always, spot on, graceful and articulate. All I can say about the JVC remaster is that the disc ain’t cheap, but it sure sounds good. Unfortunately, and here’s the rub, while I usually have the original discs for side-by-side comparisons, this time I did not have the regular DG set available. What I did have were Mutter’s old Muti (EMI) and Karajan (DG) discs, as well as the knowledge that in my prior experience every XRCD I’ve ever compared to its original counterpart has sounded better (although in some cases just barely). I have no reason to think the same isn’t true here. Sonically, the JVC XRCD24/K2 remaster sounded superior to the Muti and Karajan in every way but one: The Muti recording seemed a touch more dimensional. The engineers miked the newer Mutter performances a bit closer than either the older EMI or DG, thus losing a very little something in orchestral depth; be that as it may, the closer sound reproduces a truthful air and space. In every other respect, the JVC product sounded best. The newer recording is clearer and cleaner for one thing, with a fine sense of presence and occasion. It also displays a greater dynamic range, a stronger impact, and a sharper transient attack. In the matter of frequency balance, the JVC is more neutral, the older recordings a touch brighter and less natural. There is also in the JVC a realistic bite on the violin sound, yet without any forward edge or hardness. More important, the JVC remastered sound appears smoother and firmer than the older sound, more lifelike all around. 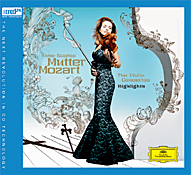 In a nutshell, if you like Ms. Mutter’s earlier interpretations of the concertos, you will no doubt like her newer ones as well; they may lose a little something in formal classical feel and design, but they make up for it in joyous spontaneity. In terms of sound, the JVC remaster is hard to fault; it’s a tad close but sleek and polished, with no hint of distortion. Just remember, the JVC disc isn’t for everyone; you can buy DG’s two-disc set much cheaper than this single disc, and I cannot even vouch absolutely for the JVC’s sonic superiority; therefore, I could not in all conscience recommend the remaster without qualification. JVC clearly intend the product for well-heeled audiophiles. What’s more, you may have trouble finding it for sale, short of ordering it from Europe or Japan, where it would be more prohibitively expensive given the shipping costs involved. Nevertheless, if you’re really intent on pursuing it, several places you can buy JVC XRCD’s in the U.S. include Elusive Disc (http://www.elusivedisc.com/) and Acoustic Sounds (http://store.acousticsounds.com/). The acclaimed San Francisco opera company, Opera Parallèle, presents the Bay Area premiere of Osvaldo Golijov’s Ainadamar February 15, 16 and 17 at San Francisco’s Yerba Buena Center for the Arts. Opera Parallèle’s community engagement activities include the tradition of a Sneak Preview and an Open Rehearsal offered to the public free of charge in addition to a free Student Preview Performance open to invited high school and college students in the Bay Area. Ainadamar’s cast is dominated by female voices. 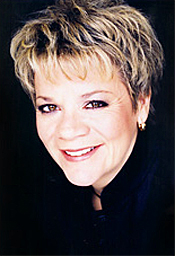 Acclaimed soprano Marnie Breckenridge, La Princesse in Opera Parallèle’s spring 2011 production of Philip Glass’ Orphée, heads the cast as Margarita Xirgu. Mezzo-soprano Lisa Chavez, who recently portrayed Maria in Frank Loesser’s widely successful The Most Happy Fella in New York City, is featured as the poet and playwright Federico. Soprano Maya Kherani, St. Settlement in Opera Parallèle’s summer 2011 production of Four Saints in Three Acts, portrays Nuria and members of the San Francisco Girls Chorus join singers from the SFCM New Music Ensemble to become the “chorus of girls,” or niñas. Rounding out the cast are bass John Bischoff, Compère in Opera Parallèle’s Four Saints in Three Acts, as Tripaldi; internationally acclaimed gypsy flamenco singer Jesus Montoya as Ruiz Alonso; Andres Ramirez as the bullfighter; and Ryan Bradford as the teacher. Stage director Brian Staufenbiel’s innovative production concept for Ainadamar utilizes dramatically-integrated video mapping technology. In one scene, a video image of the lead soprano is projected onto a life size statue virtually bringing the statue to life through this layering technique. The set, a floating stage of perforated steel, evokes the parallel levels of heaven and earth and allow the team to explore new dimensions of lighting through projections. Staufenbiel will again be joined by a gifted artistic team including scenic and lighting designer Matthew Antaky, video artist Austin Forbord, costume designer Christine Crook, choreographer La Tania, wig and make-up artist Jeanna Parham and props artisan Valerie Niles. Opera Parallèle continues the Opera on Display program where the public is invited to look behind the scenes at events that serve as introductions to works currently in progress. A Sneak Preview of Ainadamar – featuring an informal talk by Nicole Paiement and Brian Staufenbiel, live musical excerpts by cast members including Marnie Breckenridge, Lisa Chavez, Maya Kherani and John Bischoff, an introduction to flamenco dance with La Tania and a question and answer session with the audience – takes place 6 p.m. January 30 at the San Francisco Conservatory of Music. A reception with the artists immediately follows. From 6:30 to 8 p.m. February 8 at Kanbar Performing Arts Center,Opera Parallèle presents its popular Open Rehearsal. Viewers are invited to watch the director, conductor and singers work together in an actual staging rehearsal in preparation for performances the following week. At the conclusion of the rehearsal, Nicole Paiement and Brian Staufenbiel will lead the cast and audience members in a lively question and answer session. The Sneak Preview and Open Rehearsal are free and open to the public. Both preview events are offered in intimate locations. Pre-reserved seating is available fordonors; the general public can attend on a first-come first-served basis. One of Opera Parallèle’s primary ambitions is to attract new and younger audiences for opera through intimate performances of contemporary masterworks given in settings appropriate to the music and staging. As part of the company’s pilot program, Engage in Opera, soprano Maya Kherani, who also serves as an intern with Opera Parallèle, will visit both Lowell High School and San Francisco School of the Arts to present interactive experiences based on Golijov’s Ainadamar. As in the past, Opera Parallèle will present a Student Preview Performance on February 14 free of charge to an invited group of music, opera, drama, performing art and production students from Bay Area educational institutions. A wide range of young people attended similar events for the company’s productions of The Great Gatsby, Orphée, Wozzeck and Young Caesar including students from ACT, SFCM, San Jose State, University of California (Santa Cruz), San Francisco State, Mills College and SOTA. Interested educators can apply for an invitation to attend by emailing Opera Parallèle’s administrative assistant, Frank Weisberg, at frank@operaparallele.org. 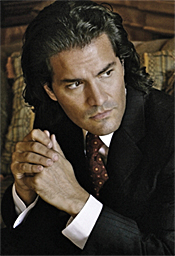 Opera Parallèle’s production of Osvaldo Golijov’s Ainadamar is on February 15, 16 and 17, 2013 at San Francisco’s Yerba Buena Center for the Arts’ Lam Research Theater. Tickets priced from $35 to $85 are on sale now. They can be purchased in person at the YBCA’s box office located inside the Galleries and Forum Building, 701 Mission Street at Third, over the phone at (415) 978-ARTS (2787) or online at ybca.org. Full biographies of the artists and production team can be found on Opera Parallèle’s Web site at operaparallele.org. Music Director Nicholas McGegan, an acclaimed interpreter of Baroque and Classical composers, leads Philharmonia Baroque Orchestra in a concert featuring the music of Johann Christian Bach, Joseph Haydn, and Wolfgang Amadeus Mozart, three composers who epitomize the evolution of musical style during the Classical period. J.C. Bach, the eleventh and youngest son of J.S. Bach, became acquainted with Mozart while the younger composer was on tour as a child prodigy. Mozart’s works later showed signs of Bach’s influence, most notably his love of brilliant texture. This is exemplified by J.C. Bach’s Sinfonia Concertante for Oboe and Bassoon in F Major, featuring Philharmonia Baroque’s acclaimed players, Marc Schachman and Danny Bond, as soloists. Haydn and Mozart became friends in Vienna when the elder composer was at the height of his fame and Mozart’s reputation as an opera composer was on the rise. From Haydn’s Symphony No. 44 in E minor, Nicholas McGegan traces the evolution of Mozart’s singular style, showing how Mozart’s musical gifts matured under the influence of his great friend and mentor. “Haydn and McGegan were made for each other,” the Los Angeles Times noted earlier this year. Furthermore, the February edition of Philharmonia Baroque’s regular radio program on KDFC will feature excerpts from Mozart’s Il Rè Pastore, as performed at the Mostly Mozart Festival at Lincoln Center – February 10th at 8 pm. Wednesday, February 13, 2013 at 8:00 pm, Stanford: Bing Concert Hall (327 Lasuen Mall) in partnership with Stanford Live. Friday, February 15, 2013 at 8:00 pm, San Francisco: Herbst Theater (401 Van Ness Avenue). Saturday, February 16, 2013 at 8:00 pm and Sunday, February 17, 2013 at 7:30 pm, Berkeley: First Congregational Church (2345 Channing Way). Tickets are priced $25 to $95. Please visit us online at www.philharmonia.org to purchase tickets. The “highly physical” (The Guardian) German violinist Christian Tetzlaff returns to perform a solo recital on Tuesday, February 12 at 8:00 p.m. at First Congregational Church, 2345 Channing Way, Berkeley, CA. The program will feature violin works encompassing a broad swath of musical history, from Bach to Bartók to Kurtág. Though these composers span centuries, Tetzlaff is known for “his protean ability to take on the character of whatever work he is playing” (The Independent). In his most recent engagement with Cal Performances in 2010, the violinist performed the complete violin sonatas and partitas by Bach, a feat of musical endurance that lasted over two hours. This program, though shorter, will offer a much more in-depth look at Tetzlaff’s multitalented style. With dozens of solo and collaborative recordings and over 100 performances to his name, Tetzlaff is “a bold artist with an instinctive feeling for the wild side in music” (The New York Times). Christian Tetzlaff started playing violin and piano at age six, but did not begin intensive study of the violin until age 14, when he made his concert debut playing Beethoven. He studied at the conservatory in Lübeck and in Berlin under Uwe-Martin Haiberg. 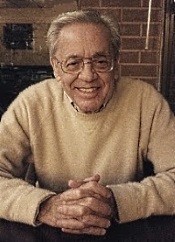 In 1985, he came to United States to work with Walter Levine at the University of Cincinnati College-Conservatory of Music. He also spent two summers at the Marlboro Music Festival in Vermont. His extensive repertoire includes concertos, solo and chamber works. He has performed pieces by many composers, including Hadyn, Bartók, Tchaikovsky, Brahms and Beethoven. In North America, he has played with the orchestras of Chicago, Cleveland, Boston, Philadelphia, New York, San Francisco, Los Angeles and Toronto. He has also performed with the major European orchestras, including the Berlin Philharmonic, London Symphony, Orchestre de Paris, Vienna Philharmonic, Rotterdam Philharmonic and the Royal Concertgebouw Orchestra in Amsterdam. Tetzlaff has also received several awards for his recordings for Virgin Classics and other labels, including the Diapason d’Or twice, the Edison Prize, the Midem Classical Award, the ECHO Klassik prize, and several Grammy Award nominations. In 2005, he was named “Instrumentalist of the Year” by Musical America in honor of his artistic achievements. In Spring 2013, he will release a recording of the Schumann violin sonatas. For more information, please go to http://www.christiantetzlaff.com/index_en.html. Tickets for Christian Tetzlaff on Tuesday, February 12 at 8:00 p.m. at First Congregational Church are $52.00, and are subject to change. Tickets are available through the Ticket Office at Zellerbach Hall; at (510) 642-9988; at www.calperformances.org; and at the door. Half-price tickets are available for UC Berkeley students. UC faculty and staff, senior citizens, other students and UC Alumni Association members receive a $5.00 discount (Special Events excluded). For select performances, Cal Performances offers UCB student, faculty and staff, senior, and community rush tickets. For more information about discounts, go to http://calperformances.org/buy/discounts.php or call (510) 642-9988. Tickets: $52.00, available through the Cal Performances Ticket Office at Zellerbach Hall; at (510) 642-9988 to charge by phone; at www.calperformances.org; and at the door. Symphonic Dances, Op. 45 was Rachmaninoff’s last composition and one of only a handful that he composed during the final 25 years of his life. In the aftermath of the 1917 Bolshevik Revolution, he became an exile from his native Russia, eventually settling in the United States. This left him emotionally unmoored, homesick and financially burdened which contributed to a sense of creative paralysis and a dwindling compositional output. Written in 1940, the work includes numerous self-quotations from his earlier works, in addition to themes derived from Russian sacred chant, forming a nostalgic reflection of pre-Revolutionary Russia. The “Viennese oracle” (The Philadelphia Inquirer) pianist Rudolf Buchbinder will be the featured soloist with the New York Philharmonic led by Music Director Alan Gilbert in three concerts from February 14-16, 2013 at Lincoln Center’s Avery Fisher Hall. Buchbinder will perform Brahms’s Piano Concerto No. 2 in B-flat Major, Op. 83; the concerts will also include Tchaikovsky’s Symphony No. 6, Pathétique. Buchbinder’s next performances in the U.S. are on March 8-10, 2013, as soloist with the Philadelphia Orchestra led by Christoph von Dohnányi, performing Mozart’s Piano Concerto No. 20 in D minor, K. 466. Rudolf Buchbinder recorded all of the Brahms piano concertos live with the Royal Concertgebouw Orchestra under Nikolaus Harnoncourt, for Teldec in 2000. He has recently made another recording with Harnoncourt, this time of Mozart’s Piano Concertos No. 23 in A Major, K. 488 and No. 25 in C Major, K. 503 with Concentus Musicus Vienna, recorded live at the Vienna Musikverein in June 2012. The album will be released by Sony Classical in the U.S. on February 5, 2013. This marks the first time that Rudolf Buchbinder has performed in public on a period instrument; for these concerts he played a fortepiano that is a reproduction of a 1792 Anton Walter instrument created by fortepiano maker Paul McNulty. In January 2012, Buchbinder’s live performance (as pianist and conductor) of all five of Beethoven’s Piano Concertos with the Vienna Philharmonic was released in the U.S. as a 2-DVD set by C Major/Unitel Classica. The concerts were filmed live in May 2011 at the Goldener Saal der Gesellschaft der Musikfreunde in Vienna. In addition to the performances, the DVDs include a conversation between Buchbinder and music journalist Joachim Kaiser as bonus material. Rudolf Buchbinder’s concert calendar in 2012-2013 takes him around the world. His signature offering – the complete cycle of all of Beethoven’s Piano Sonatas (which he has performed in more than 40 cities worldwide since 1979) – began in Milan in January 2012, in Hannover in March, and in Berlin at the Philharmonie in December. In Beijing he became the first pianist ever to perform all of the Beethoven Piano Sonatas in eight days in October 2012. Rudolf Buchbinder was admitted to the Vienna Musik Hochschule at age five, and remains the youngest student to gain entrance in the school’s history. He made his debut at the age of ten at Vienna’s Musikverein, performing Beethoven’s Piano Concerto No. 1. The music of Beethoven has been a focal point of his career ever since – not only does he continue to perform Beethoven’s works, but he constantly re-examines his approach to it, as well as Beethoven’s scores. He owns 35 different, complete editions of the scores for Beethoven’s 32 Piano Sonatas, and has analyzed each, tirelessly finding and correcting editorial errors. He attaches considerable importance to the meticulous study of these musical sources, and has an extensive collection of autograph scores, first editions, and original documents – including the autograph scores and piano parts of both Brahms concertos as copies. In spite of his heavy travel schedule, Buchbinder maintains that he spends many weeks of the year at his home in Vienna, which he shares with his wife. In addition to collecting musical scores, the pianist spends considerable time on other, non-musical hobbies – art and architecture, books, and movies. Buchbinder owns more than 4,000 DVDs of movies ranging from Abbot and Costello to Alfred Hitchcock and Billy Wilder, including all of the Oscar-winning films, and everything ever made by Charlie Chaplin and John Wayne. Continuing its stellar 10th anniversary season at Nichols Concert Hall, the Music Institute of Chicago presents the internationally acclaimed Pacifica Quartet Saturday, February 16 at 7:30 p.m. at Nichols Concert Hall, 1490 Chicago Avenue, Evanston, Illinois. The program features Smetana’s String Quartet No. 1 in E Minor “From My Life” and Beethoven’s String Quartet No. 15 in A Minor, Op. 132. The Pacifica Quartet--violinist Simin Ganatra, violinist Sibbi Bernhardsson, violist Masume Per Rostad, and cellist Brandon Vamos--has a longstanding relationship with the Music Institute, having performed previously at Nichols, as well as leading numerous master classes at the Music Institute’s Academy for gifted pre-college musicians. This concert is sponsored by Gael and Robert Strong. Recognized for its virtuosity, exuberant performance style, and often-daring repertoire choices, the Pacifica Quartet has gained international stature as one of the finest chamber ensembles performing today. Named quartet-in-residence at Indiana University's Jacobs School of Music in March 2012 and Ensemble of the Year by Musical America, Pacifica received the 2009 Grammy Award for Best Chamber Music Performance. The 2012-13 season marks the 10th anniversary of Nichols Concert Hall, originally designed by noted architect Solon S. Beman as the architecturally and acoustically magnificent First Church of Christ, Scientist, located at 1490 Chicago Avenue in Evanston, in 1912 (celebrating its centennial). Restored in 2003, the building has become Nichols Concert Hall, a state-of-the-art, 550-seat performance space and music education destination, which annually reaches approximately 15,000 people and hosts a world-class chamber music series, workshops and master classes, student recitals, and special events. Noteworthy concerts still to come during the Music Institute’s 10th anniversary season at Nichols include pianist Sergei Babayan in April and the third annual Emilio del Rosario Distinguished Alumni Concert, this year featuring violinist Rachel Barton Pine and pianist Matthew Hagle in May. Pacifica Quartet performs Saturday, February 16 at 7:30 p.m. at Nichols Concert Hall, 1490 Chicago Avenue, Evanston. Tickets are $30 for adults, $20 for seniors and $10 for students, available online or 847.905.1500 ext. 108. For more information visit musicinst.org. 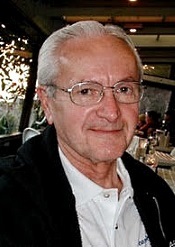 James Ginsburg, founder and president of Cedille Records, Chicago's Grammy award-winning independent classical music label, will host a new hour-long weekly program on Chicago radio station WFMT (98.7 FM) starting February 6, 2013. "Cedille Chicago Presents" will air at 10 p.m. Central time Wednesdays on the city's flagship classical station. The pre-recorded show, scripted by Ginsburg and produced by WFMT staffer Matt DeStefano, will also stream live at wfmt.com. The program will draw on the label's CD catalog of over 140 albums, all devoted to classical performers and composers in or from Chicago. Ginsburg launched the label in November 1989 to showcase exceptional Chicago talent deserving worldwide stature. The internationally distributed, nonprofit label is supported by The Chicago Classical Recording Foundation. WFMT program director Peter van de Graaff says the station happened to be looking for a new program to fill the Wednesday time slot when Ginsburg proposed the idea. Ginsburg is no stranger to WFMT listeners. He has hosted the station’s annual “Cedille Day” specials, 13-hour marathon broadcasts showcasing the label’s artists. Launched in 2010, “Cedille Day” was the brainchild of station manager Steve Robinson, a long-time champion of the label and board member of The Chicago Classical Recording Foundation. 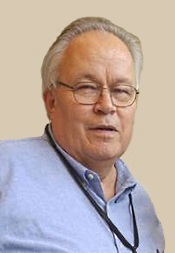 "Jim Ginsburg brings a unique perspective to the airwaves," Robinson says. Ginsburg says the February 6 debut broadcast of “Cedille Chicago Presents” will focus on keyboard recordings, including the label’s very first offerings. Featured artists will include pianists Dmitry Paperno, Easley Blackwood, Ramon Salvatore, Ursula Oppens, and Jorge Federico Osorio; organist, harpsichordist, and fortepianist David Schrader; and duo-pianists Georgia and Louise Mangos. The second program, to air February 13, will showcase Cedille recordings by violinists Jennifer Koh and Rachel Barton Pine. Wind players and cellists will take center stage in the third and fourth installments of the ongoing series. Among Cedille's most widely recognized artists, in addition to violinists Koh and Pine, are the Pacifica Quartet, multi-Grammy-winning new-music sextet eighth blackbird, period instrument ensemble Trio Settecento, the Grant Park Orchestra and Chorus, Chicago Sinfonietta, Chicago Opera Theater, and Chicago Symphony Orchestra. 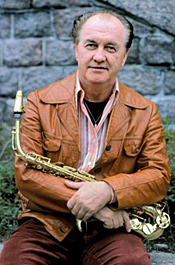 The show’s playlists will be archived on the label’s Web site, cedillerecords.org, and programs will be made available as podcasts on WFMT’s site. The Music Institute of Chicago, collaborating with the Ars Viva Symphony Orchestra, the Lake Forest Symphony, and Maestro Alan Heatherington, presents the final round of competition in the annual Young Artist Concerto and Aria Competition Wednesday, February 13 at 7 p.m. at Nichols Concert Hall, 1490 Chicago Avenue, Evanston, Illinois. The event is free and open to the public. Advancing to the final round of competition from an original field of 17 competitors are Rebecca Benjamin (18, Warsaw/Indiana, Sage Foundation Academy Fellow, violin student of Almita and Roland Vamos), performing Sibelius’s Concerto in D Minor, Op. 47; Gallia Kastner (15, Arlington Heights, Susan and Richard Kiphart Academy Fellow, violin student of Almita and Roland Vamos), performing Brahms’ Concerto in D, Op. 77; and Jackie Tso (16, Loveland/Ohio, Community School student of Almita and Roland Vamos), performing Tchaikovsky’s Concerto in D Major. Receiving Honorable Mention is Nathan Walhout (15, Wheaton, Susan and Richard Kiphart Academy Fellow, cello student of Gilda Barston). This year’s winner performs with the Ars Viva Symphony Orchestra Sunday, April 28 at the North Shore Center for the Performing Arts in Skokie. Judges for the preliminary round included Elliott Golub, CSO Citizen Musician; Peter Szczepanek, assistant principal cello for the Grant Park Music Festival and Milwaukee Symphony Orchestra (acting); and Lawrence Rapchak, music director of the Northbrook Symphony. The Music Institute of Chicago believes that music has the power to sustain and nourish the human spirit; therefore, our mission is to provide the foundation for lifelong engagement with music. Founded in 1931, the Music Institute has grown to become one of the three largest and most respected community music schools in the nation. Offering musical excellence built on the strength of its distinguished faculty, commitment to quality, and breadth of programs and services, the Music Institute is a member of the National Guild of Community Schools of the Arts and accredited by the National Association of Schools of Music. Each year, the Music Institute’s teachers and arts therapists reach more than 10,000 students and clients of all ages and experience levels at campuses in Evanston, Winnetka, Highland Park, Lincolnshire, Lake Forest and Downers Grove, as well as through its longstanding partnership with the Chicago Public Schools. The Music Institute offers lessons, classes, and programs in four distinct areas: the Community School, Academy, Institute for Therapy through the Arts, and Nichols Concert Hall. The Young Artist Concerto and Aria Competition Finals take place Wednesday, February 13 at 7 p.m. at Nichols Concert Hall, 1490 Chicago Avenue, Evanston, Il. Admission is free. For information, call 847.905.1500 ext. 108. Piano Concertos in A minor and in G; Introduction & Rondo in F minor. Alessandro Commellato, fortepiano; Didier Talpain, Solamente Naturali. Brilliant Classics 94338. Some guys can’t catch a break. Take Johann Nepomuk Hummel (1778-1837). He’s like the Alex Smith (deposed starting quarterback of the S.F. 49ers) of classical music. Hummel was extremely popular in his day, but it wasn’t long after his death that his music faded into obscurity. While the Trumpet Concerto and a few of the piano concertos continue to get some love, it isn’t much. The fellow wrote at the very end of the Classical Period at a time when listeners were looking toward composers of the new Romantic Age. Hummel apparently never adapted well enough to survive, and audiences passed him by. Now, Brilliant Classics are doing their part in reminding us who Hummel was with this first volume of his music, all of which they say are premiere recordings on period instruments. Let’s hope it works out for them. Let me begin by telling you about the little Piano Concerto in G, Op. 73, even though the disc places it second on the program. It’s a delight, sounding a lot like Mozart. In fact, if you didn’t know every Mozart piano concerto by heart, you’d probably swear it was early Mozart. Played on period instruments by Solamente Naturali (“only natural”) heightens the illusion. 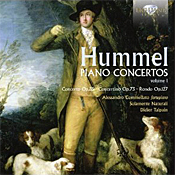 Hummel published the Piano Concerto in G in 1816 but adapted it from a mandolin concerto he wrote in 1799. Under Maestro Didier Talpain and pianist Alessandro Commellato (who plays on vintage fortepianos, an 1825 model for the Concerto in G and an 1837 model for the Concerto in A minor and the Introduction & Rondo), the performance is light, bouncy, airy, simple, and direct. It should have a wide appeal. The Piano Concerto in A minor, Op. 85, which opens the program, is one of Hummel’s best-known concertos; it dates from around 1816, and the composer published it around 1821. Here, we find a full orchestra and many more Romantic leanings. It’s much closer to Chopin and Liszt than to Mozart. The first movement starts with so lengthy an introduction that one might ask, Now eventually you do plan to have a piano in your piano concerto, right? Finally, about four minutes in, the piano enters. This time, Commellato’s playing, adapting to the tenor of the piece, is more mature, the Allegro Moderato appearing remarkably like Chopin’s First Piano Concerto. That’s not surprising, considering that toward the end of Hummel’s life he became a kind of mentor to the younger pianist and composer. Commellato also provides a more virtuosic performance here than in Op. 73, the more-complex music of Op. 85 giving him more opportunity for dexterous finger work. The fortepiano from 1837 has a slightly richer, mellower tone than the earlier one, too, reinforcing the lush Romantic connotations. The album concludes with the Introduction & Rondo brillant in F minor, Op. 127. Written in 1833, it would be the last of Hummel’s works published in his lifetime. The mood changes altogether in the opening movement, this one somewhat dark and heavy. It’s still well within the Romantic genre, yet in a rather somber, melancholic vein. Then, in the second movement things brighten up considerably, with Commellato handling both temperaments handily. All three items on the disc offer dazzling performances, possessing grace and energy and polish aplenty. Brilliant Classics recorded the music at the Studio of the Slovak National Radio, Bratislava, Slovakia in 2010. The music they obtained is a tad close for my liking, but it is wonderfully open and detailed, and the clarity is often exemplary. Although depth is only middling, the stereo spread is impressive, the dynamic range is ample, and the impact good. A little more distance, though, would have provided a more-resonant response, so the sound goes more in the direction of ultra-transparency than it does for concert-hall realism. The sound of the fortepianos displays excellent transient lucidity and sharpness of attack, even if it’s a bit too wide to be entirely lifelike. Various works and artists. FIM SACD029. There is no doubt that FIM, First Impression Music, is first and foremost an audiophile label. Its president and producer, Winston Ma, is a dedicated audiophile for whom sound is everything. Fortunately, he is also a music lover and recognizes good music. Therefore, the contents of his discs must not only sound good, they must be worth an enjoyable listen. 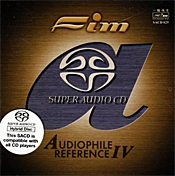 The Audiophile Reference IV disc is a Super 24-Bit hybrid SACD, meaning the folks at FIM have done it up in one of the premier processing modes around, and because it’s a hybrid disc, you can play it on an SACD player or on regular CD player. As the album’s title implies, it contains bits and pieces of audiophile material, much of it taken from FIM’s catalogue of XRCD material, the kind of stuff that dyed-in-the-wool audiophiles sit around and listen to when they’re not talking over the top of the music. I’m not really keen on these kinds of compilations because there is never enough of any one thing to interest me, but when we get the kind of sonic results heard here, it’s hard not to want to see what new delights are around the next corner. Kind of like popcorn; you can’t just eat one. There are sixteen tracks on the disc, comprising over seventy-five minutes of music. Selections include everything from classical to jazz to folk, but thankfully no hard rock or rap. Among the highlights for me were Saint-Saens’s lovely “The Swan” from his Carnival of the Animals; a composite group of tunes and noises on “Olde London”; a traditional Chinese set of variations called “Yang City”; excerpts from Handel’s Messiah; and Pachelbel’s Canon in D done by a percussion ensemble. Well, everyone else has done it on every other kind of instrument, so why not percussion. The sound in each of the numbers is outstanding, particularly in terms of timbre and clarity. At times, I felt that maybe a piece was a bit too forward or too aggressive, but after a moment’s listening I usually found it sounded, in fact, just right. The only direct comparison I was able to make was with the live recording “High Life,” featuring Swedish sax player Arne Domnerus; it’s a selection FIM remastered from the celebrated Proprius disc Jazz at the Pawnshop. Comparing the FIM version with an original, first-generation pressing of the Proprius disc, I found the Proprius sounding maybe a bit brighter, the FIM sounding deeper, smoother, and more naturally balanced. That they did not sound more alike, though, was probably my biggest surprise; I hadn’t expected such a difference. In any case, the FIM was mighty good and sounded remarkably real. If you’re like me, from time to time you may have to look up an occasional musical term; thus, with the help of the Random House Unabridged Dictionary, the Harvard Concise Dictionary of Music, and other such reference works, I’ve compiled this little guide to some of the most commonly used classical music expressions you might run across, alphabetically arranged. If you need to refer to the glossary again, you’ll find it in the left-hand column of every page. A cappella: Without orchestral accompaniment. A piacere: An indication for a performer to play according to his own pleasure, especially in regard to tempo and rubato. Accelerando or accelerato: Faster, or becoming faster. Accent: An emphasis on one pitch or chord; a stress or emphasis given to certain notes. Accompaniment: The musical background for a principal part. Adagietto: A tempo a bit faster than adagio. Also, a brief composition in a slow tempo. Adagio: Slow, somewhere between andante and largo. Also, a brief composition in a slow tempo, especially the second, slow movement of a sonata, symphony, etc. Air: A song, tune, or aria in general. Also, in Baroque suites and later, a movement of a melodic rather than dancelike character. Alla: In the manner of. Alla breve: A tempo mark indicating quick duple time. Allargando: Slowing down, becoming broader, usually with a corresponding crescendo. Allegretto: Moderately fast but not so fast as allegro. Also, a short piece in fast tempo. Allegro: Fast. Also, a composition in fast tempo, especially the first or last movement of a sonata or symphony. Allemande: A dance in moderate duple time, first appearing in the 16th century. Alto: A female voice of low range; sometimes called contralto; also, the second-highest part of a four-part chorus and, applied to the clarinet, flute, saxophone, etc., the second or third-highest member of the family. Amore or Amorevole: With love. Andante: A moderate or “walking” tempo, between allegretto and adagio. Andantino: A short piece of andante tempo or character; sometimes, also, a tempo very slightly quicker than andante. Appoggiatura: An ornamental or embellishing note, usually melodically connected with the main note that follows it and taking a portion of its time. Aria: A composition for solo voice; also, a short instrumental piece of songlike character. Arpeggio: The notes of a chord played one after another instead of simultaneously. Articulation: The characteristics of attack and decay of single tones or groups or tones. Assai: Much, as in “allegro assai” or quite fast. Atonality: The absence of tonality; the absence of key or tonal center. Attack: The characteristics of the beginnings of a sound. Bagatelle: A short, light piece, usually for piano. Barcarole: A boating song of Venetian gondoliers or any song in imitation of the style. Baritone: The male voice between bass and tenor; also, when applied to instruments (oboe, horn, saxophone), any size above the bass. Baroque: In music history, the period from approximately 1600 to 1750. In personal history, the period following a visit to Harrah’s Tahoe Casino. Bass: The lowest of men’s voices; also, as applied to instruments, the lowest and usually largest of any family. Battaglia: It., battle. A composition that features, drum rolls, fanfares, and the general commotion of battle. Batterie: The percussion group of an orchestra. Bel canto: It., beautiful singing. The Italian vocal technique of emphasizing beauty of sound and brilliance of performance over dramatic or romantic expression. Bitonality: The simultaneous use of two (sometimes more) different keys in different parts of a composition. Bourdon: Usually, a low note of long duration, like a drone or pedal point. Bourrée: A 17th-century French dance. Breve, brevis: Short. A note value that is brief. Brio, con; brioso: With spirit, vigor, or vivacity. Cantata: A composite vocal form consisting of a number of movements based on a continuous text. Cantabile: Singable; songlike and flowing in style. Capriccio: A humorous or capricious piece of music. Chanson: Song, for one or more voices. Chant: A general term for liturgical music similar to plainsong. More specifically, the liturgical music of the Christian churches. Chorale: A hymn tune of the German Protestant Church. Also, a choir. Chord: A combination of three or more tones sounded simultaneously, two simultaneous tones usually being designated as an interval. Chromatic: The scale that includes all of the twelve pitches contained in an octave. Classical: All art music as opposed to popular music. Also, the period of music from about 1770-1830. Clavier: French term for keyboard. Coda: A concluding section or passage, more or less independent of the basic structure of a composition, usually to indicate closure or finality. Concerto: A composition for orchestra and solo instrument or small group of instruments. Concerto grosso: An important type of Baroque concerto, characterized by a small group of solo instruments against a full orchestra. Consonance, dissonance: Subjectively, combinations of pitches that are pleasing or displeasing. Continuo: From Baroque scores on, the bass part, usually performed by the harpsichord or organ together with a viola da gamba or cello. Contralto: The lowest female voice; usually, the same as the alto voice. Counterpoint: Music consisting of two or more melodic lines that sound simultaneously. Crescendo, decrescendo: Terms for the increasing or decreasing of loudness. Cyclic: Compositions in which related thematic material is used in all or some of the movements. Diminution: The repetition or imitation of a subject or theme in notes of shorter duration than those first used. Dirge: A vocal or instrumental composition written for performance at a funeral. Divertimento: An instrumental composition in several movements, light and diverting in character, similar to a serenade. Dynamics: The aspect of music related to degrees of loudness. Elegy: A piece of music with a mournful quality; a lament. Ensemble: A group of musicians performing together. Entr’acte: A usually instrumental piece performed between acts of an opera or play. Epilogue: A coda or concluding part. Etude: A musical composition, usually instrumental, intended mainly for the practice of some point or technique, sometimes designed purely for study, sometimes also for public performance. Exposition: In sonata form, the first section containing the statement of themes. In a fugue, the first as well subsequent sections containing the imitative presentation of the theme. 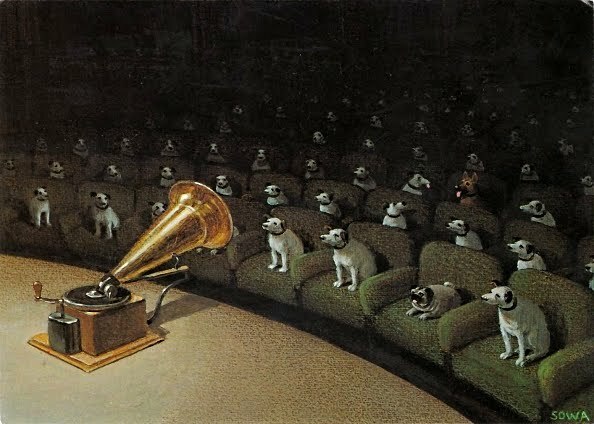 Expressionism: The use of distortion, exaggeration, symbolism, and abstraction as means of emphasizing and conveying a composer’s subjective ideas to a listener. Falsetto: The male voice above its normal range. Fanfare: A short tune, a flourish, for trumpets and the like. Fantasy: Fantasia; a composition of fanciful or irregular form or style. Finale: The last movement of a musical composition or performance. Flauto: Flute, although up until the middle of the 18th century, it used to mean recorder. Flourish: A trumpet call or fanfare; a showy or decorative passage. Fugue: A polyphonic composition based upon one or more themes enunciated by several voices or parts in turn, subjected to contrapuntal treatment, and gradually built up into a complex form having somewhat distinct divisions or stages of development and a marked climax at the end. Gigue: In Baroque suites, one of the four standard dance movements, often the final one; evolved from the Irish or English jig. Giusto: Just, right; fitting tempo or strict tempo. Glee: An 18th-century form of English choral music, unaccompanied, in three or more parts. Gregorian chant: The liturgical chant of the Roman Catholic Church, named after Pope Gregory I (Pope from 590 to 604), whom tradition says first formulated the repertory. Ground, ground bass: A short melodic phrase repeated again and again as a bass line, with varying music for the upper parts. Harmony: The characteristic of music consisting of simultaneously sounded pitches or tones as opposed to simultaneously sounded melodies or lines. Hymn: A song of praise, usually to a god or hero. Idee fixe: Hector Berlioz’s name for the principal subject of his Symphonie fantastique; a “fixed idea” recurring in all movements of a musical work. Impressionism: A term borrowed from painting in which there is a concern for light and its perception rather than the symbolic, literary, or emotive value of the thing perceived; thus, there is an avoidance of traditional musical forms. A composition suggesting lush harmonies, subtle rhythms, and unusual tonal colors to evoke moods and impressions. Impromptu: Character pieces marked by an offhand or extemporized style. Improvisation, extemporization: The art of creating music spontaneously in performance. Incidental music: Music used in connection with a play. 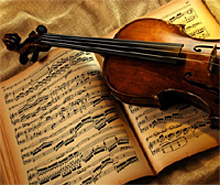 Interlude: Music played between sections of a composition or dramatic work. Intermezzo: A light theatrical entertainment introduced between the acts of a play or opera. Interval: The distance (in terms of pitch) between two pitches. Kapellmeister: Originally an honorable title (chapel master) for the conductor of a small or private orchestra, band, or chorus; now an old-fashioned provincialism for conductor. Key: In a tonal composition, the main pitch or tonal center to which all of the composition's pitches are related. Key signature: The sharps or flats appearing at the beginning of each staff to indicate the key of the composition. Lament: Compositions commemorating the death of a famous person; a song used at funerals or mournful occasions. Landler: An Austrian dance in triple meter, very much like a slow waltz; it was popular in the early 19th century before the waltz came into vogue. Larghetto: Somewhat slow; the diminutive of “largo” and, therefore, slightly faster. Largo: A very slow tempo. Lauda: Hymns of praise or devotion in Italian. Legato: Played with no interruption between notes. Leitmotiv or Leitmotif: Leading motif. Coined by Wagner to designate certain motifs used in association with certain characters, ideas, or situations in his music. Libretto: The text of an opera or oratorio. Litany: A series of solemn supplications addressed to God or the Saints. Liturgy: The authorized service of a Christian church. Lunga, lungo: Long or long rest. Madrigal: The name for several different types of Italian vocal music. Maestro: Master; an honorary title for a distinguished teacher, composer, or conductor. Magnum opus: A great work, esp. the chief work of a writer or artist. Mass: The most solemn service of the Roman Catholic church; a musical setting of certain parts of this service. Measure: A group of beats or pulses marked off in musical notation by bar lines. Melody: Musical sounds in agreeable succession or arrangement. The succession of single tones in musical compositions, as distinguished from harmony and rhythm. Meter: The rhythmic element as measured by division into parts of equal time value. Metronome: An apparatus that sounds regular beats at adjustable speeds, used to indicate an exact tempo. Mezzo, mezza: Half loud, moderately forte. Minuet: A French country dance introduced at the court of Louis XIV around 1650. Moderato: In moderate speed, i.e., between andante and allegro. Modulation: Change of key within a composition. Motet: An important form of polyphonic music during the Middle Ages and Renaissance, usually an unaccompanied choral composition based on a Latin sacred text. Motif, motive: A short, generally fragmentary rhythmic figure that recurs throughout a composition. Moto: Motion; usually used to indicate a tempo somewhat faster than indicated. Movement: An independent division of a musical composition. Neoclassicism: A 19th-century trend in music characterized by features of 17th and 18th-century music. Nocturne: A romantic character piece, usually for piano, with an expressive, dreamy, or pensive melody. Non troppo: Not too fast. Notturno: A nocturne. Also, a term for a variety of multi-movement works, intended for performance in the evening. Obbligato: Obligatory, in regard to an instrument or part that must not be omitted. Oratorio: An extended musical composition with a text more or less dramatic in character and usually based upon a religious theme, for solo voices, chorus, and orchestra, and performed without action, costume, or scenery. Ornamentation: The practice of embellishing musical works through additions to or variations of their essential rhythm, melody, or harmony. Ostinato: A constantly recurring melodic fragment. Overture: An instrumental introduction to an opera, oratorio, or such work. Paean: A song of praise. Partita: An instrumental suite common chiefly in the 18th century; also, a set of variations. Piano, pianissimo: Very soft. Sometimes ppp and pppp can indicate further degrees of softness. Pitch: The perceived highness or lowness of a sound. Pizzicato: Played by plucking the strings with the finger instead of using the bow, as on a violin. Poco, un poco: Little; a little or somewhat little. Polka: A lively dance of Bohemian origin, with music in duple meter. Polonaise: A slow, stately, festive dance of Polish origin, in triple meter, consisting chiefly of a march or promenade. Prelude: Originally, a piece of music intended to be played as an introduction; later, a relatively short, independent instrumental composition, free in form and resembling an improvisation. Presto: Very fast; and prestissimo, the greatest possible speed. Program music: Music inspired by a program, for instance a nonmusical idea, which is usually indicated in the title and sometimes described in explanatory remarks or preface. Thus, program music is the opposite of absolute music. Psalm: A sacred song or poem. Recitative: A style of vocal music intermediate between speaking and singing. It is used particularly in opera, where it serves to carry the action from one aria to the next. Renaissance music: Music of the period from about 1450-1600. Resonance: The transmission of vibrations from one vibrating body to another; the prolongation of sound by reflection; reverberation. Retrograde: Backward, i.e., beginning with the last note and ending with the first. Rhapsody: An instrumental composition irregular in form and suggestive of improvisation; an ecstatic expression of feeling or enthusiasm; an epic poem, or a part of such a poem, as a book of the Iliad, suitable for recitation at one time. Rhythm: The pattern of regular or irregular pulses caused in music by the occurrence of strong and weak melodic and harmonic beats. Ritardando: Gradually slowing in speed. Rococo: A musical style of the middle 18th century, marked by a generally superficial elegance and charm and by the use of elaborate ornamentation and stereotyped devices. Romance, Romanze: Slightly different meanings in different countries, but generally short, lyrical songs, usually with romantic, historical, or legendary subjects. Romantic, Romanticism: An important movement in literature and music in the 19th and early 20th centuries, essentially a reaction against the intellectual formalism of the Classical tradition, characterized by a call for return to simplicity and naturalism, subordinating form to content, encouraging freedom of treatment, emphasizing imagination, emotion, and introspection, and often celebrating nature, the ordinary person, and freedom of the spirit. Rondo, rondo form: A work or movement, often the last movement of a sonata, having one principal subject that is stated at least three times in the same key and to which return is made after the introduction of each subordinate theme. Rubato: An elastic, flexible tempo, allowing slight accelerandos and ritardandos according to the needs of musical expression. Saraband: A 17th and 18th-century dance in slow triple meter and dignified style. Scherzo: A movement, usually the third, of sonatas, symphonies, and quartets (rarely concertos) that Beethoven first used to replace the minuet. The scherzo is generally characterized by a quick tempo, vigorous rhythm, and elements of surprise. Segue: An indication to the performer to proceed to the following movement or section without a break or to continue in the same manner. Sempre: Always; as in “sempre legato,” legato throughout. Serenade: Originally, a vocal or instrumental piece performed outdoors in the evening. Today, it usually applies to lighter multi-movement works for winds or scorings intended for orchestral performance. Sinfonia: (1) Symphony. (2) In the Baroque period a name for orchestral pieces of Italian origin, designed to serve as an introduction to an opera or operatic scene, an orchestral suite, or a cantata. Sinfonietta: A small symphony, usually scored for a small orchestra. Sonata: A composition of usually three or four movements for solo instrument, often with piano accompaniment. The normal scheme for the movements is allegro, adagio, scherzo (or minuet), and allegro. A slow introduction sometimes precedes the opening allegro. Soprano: The uppermost part or voice; the highest singing voice in women and boys; a part for such a voice; a singer with such a voice. Sostenuto, sostenedo: Sustaining the tone to or beyond nominal value and thus sometimes with the implication of slackening the tempo. Suite: An ordered series of instrumental dances, in the same or related keys, often preceded by a prelude. More commonly, an ordered series of instrumental movements of any character. Symphonia: Usually, the name for various types of early orchestral music that eventually led to the modern symphony. Symphonic poem: A type of 19th-century and later orchestral music based on an extramusical idea, either poetic or realistic. Also called a tone poem, a form of program music. Symphony: A composition for symphony orchestra in the form of a sonata. Tempo: The speed of a composition or section of a composition as indicated by tempo marks or by the indications of a metronome. Tenor: the adult male voice intermediate between the bass and the alto or countertenor; a part sung by or written for such a voice, esp. the next to the lowest part in four-part harmony; a singer with such a voice. Theme: A musical idea that is the point of departure for a composition. Time: Used variously to indicate meter, tempo, or the duration of a given note. Toccata: A keyboard (organ, harpsichord) composition in free, idiomatic keyboard style. From about 1600 the name was also used for a festive brass fanfare. Tonality: A system of organizing pitch in which a single pitch (or tone, called the tonic) is made central. A composition organized in this way is said to be in the key of whatever pitch serves as the tonic. Tone: A musical sound of definite pitch; also, the character or quality of a sound. Tone color: The quality (“color”) of a pitch as produced on a specific instrument. Transition: Commonly, a passage (bridge) that leads from one main section to another. Transposing instruments: Instruments for which music is written in a key or octave other than that of their actual sound. Tremolo: Usually, a tremulous or vibrating effect produced on certain instruments and in the human voice, as to express emotion. Trill: A musical ornament consisting of the rapid alternation of a given pitch with the diatonic second above it; to sing or play with a vibratory or quavering effect. Triplet: A group of three notes to be performed in place of two of the same kind. Troubadour: Any of a number of 12th and 13th-century poet-musicians of southern France; trouveres were the northern France equivalents of the troubadours. Tune: A melody or air. Tuning: Adjusting an instrument to its proper pitch. Tutti: Italian, “all.” In orchestral works, an indication for the whole orchestra to play a passage. Variation: The modification or transformation of a musical idea in a way that retains one or more essential features of the original. Verismo: The use of everyday life and actions in artistic works; introduced into opera in the early 1900’s in reaction to contemporary, idealistic conventions, which were seen as artificial and untruthful. Vibrato: A pulsating effect, produced in singing by the rapid reiteration of emphasis on a tone, and on bowed instruments by a rapid change of pitch corresponding to the vocal tremolo. Vox: Voice, sound, tone color; voice-part; note, pitch. Waltz: A dance in moderate triple time that originated in the late 18th century as an outgrowth of the Landler. Word painting: The illustration through music of the ideas presented or suggested by the words of a song or other vocal piece. Zusammen: Together, e.g., after a passage in which an instrumental group has been divided.